Preheat oven to 200°C (400°F). Place the chicken, lemongrass, chilli flakes, brown sugar, fish sauce, soy sauce and ginger in a bowl and toss to coat. Place the chicken in a roasting dish lined with non-stick baking paper and roast, turning occasionally, for 20–25 minutes or until golden, sticky and cooked through. 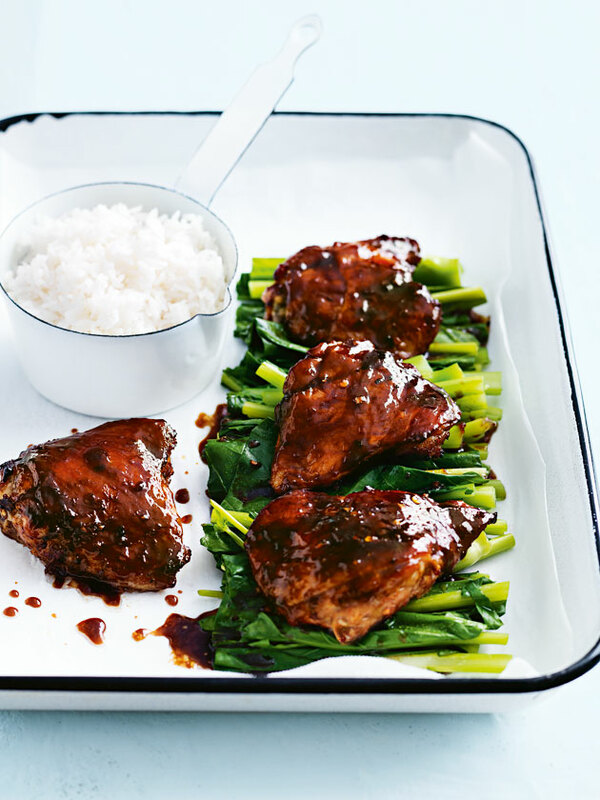 Serve the chicken with rice and gai lan and pour over any remaining pan juices. Serves 4.